Conductor Stephen Layton conducts the National Youth Choir of Great Britain for the first time on 25 August 2017 at a concert in Trinity College Chapel, Cambridge. For those of us not able to get to the concert, the choir is making it available to watch as a multi-camera, high quality audio livestream via their Facebook page, powered by Musicgurus. The first time the ensemble has done such a project. It is quite a programme, entitled Revolutions: Voices of Change, the music ranges from Poulenc and Messiaen, through Martin's Mass for Double Choir to music by Vytautas Miškinis, Uģis Praulins and Pawel Łukaszewski, as well as the premiere of Ēriks Ešenvalds' Salutation. 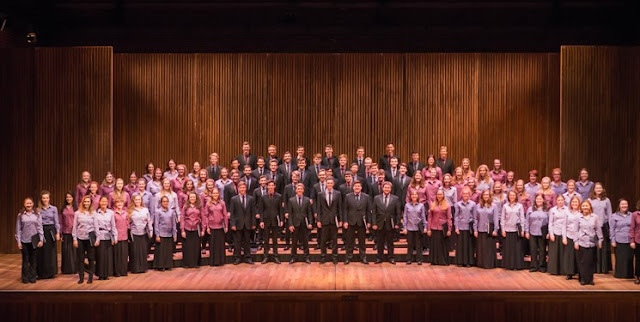 Full details of Revolutions: Voices of Change from the NYCGB website.